The Jewish Home and National Union factions have resumed negotiations for a joint ticket in this year’s election, following a breakdown in talks over the weekend. In a statement Monday morning, the National Union announced that talks with the Jewish Home had been renewed. While the joint Jewish Home-National Union ticket won eight seats in 2015, Bennett’s departure and formation of the New Right has left the Jewish Home polling at between three to six seats – hovering around the 3.25% electoral threshold. A split between the Jewish Home and National Union would likely guarantee both factions fail to enter the 21st Knesset. Following the breakdown in talks with the National Union, Peretz turned to the Likud, eyeing a possible technical bloc with the ruling party. The Likud later turned down the offer, however, leading prominent national-religious rabbis to call an emergency meeting, slated for Monday afternoon. 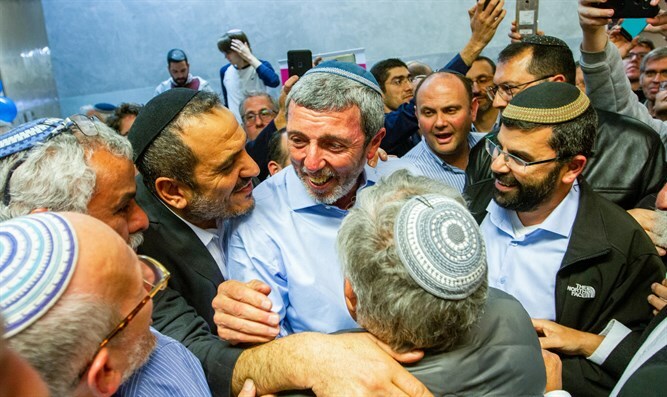 In addition to a joint run with the National Union, some, including Rabbi Zalman Melamed, a senior rabbi in the national-religious movement, have urged the Jewish Home to form a technical bloc with the Otzma Yehudit party, a right-wing faction led by former Kach activists Baruch Marzel and Michael Ben-Ari, and with the Yahad party.